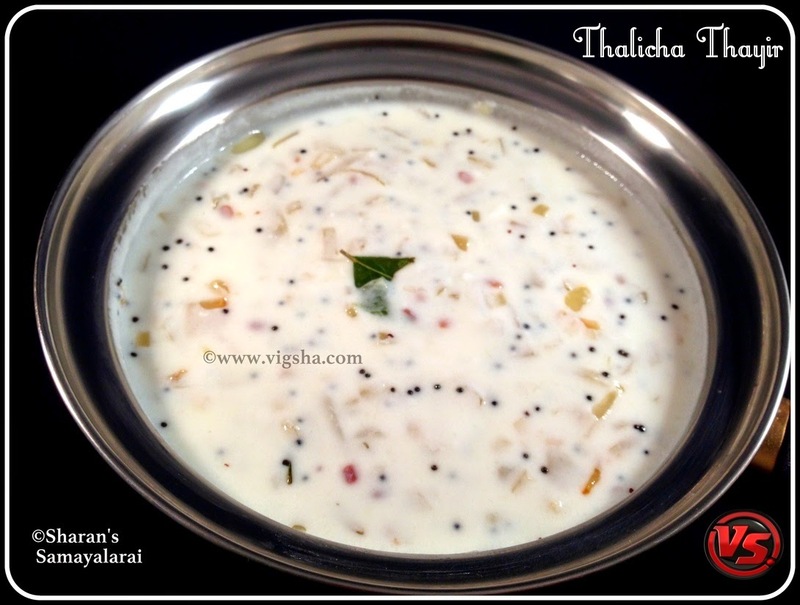 Thalicha Thayir is a simple and tasty tiffin accompaniment. This recipe pairs well with Idli /dosa varieties. It just needs few minutes to prepare and comes handy when you don't have mood for elaborate cooking. 1). Heat oil in a pan, add mustard and let it splutter. Then add urad dal and channa dal, saute till it turns brown. 2). Add chopped onions, curry leaves, hing, green chillies, salt and saute till onions turns translucent. Switch off and let it cool. 3). Whisk the curd until smooth. Add the above sauteed items to the curd and garnish with chopped coriander leaves. Done ! Serve warm with Idli or Dosa.